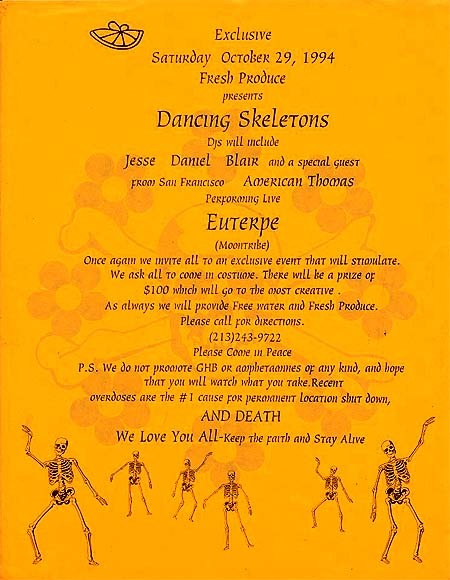 Recorded live at Dancing Skeletons on Saturday, October 29th, 1994 (17 years ago to the day!). Presented by Fresh Produce, Moontribe, and Next Step. 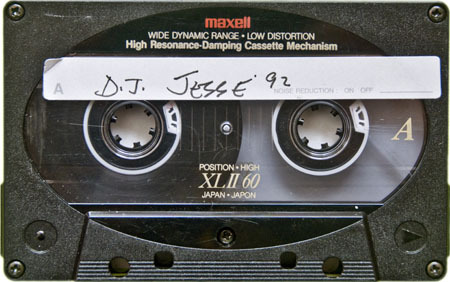 This mixed tape from 1992 is by Fresh Produce resident DJ Jesse Brooks. 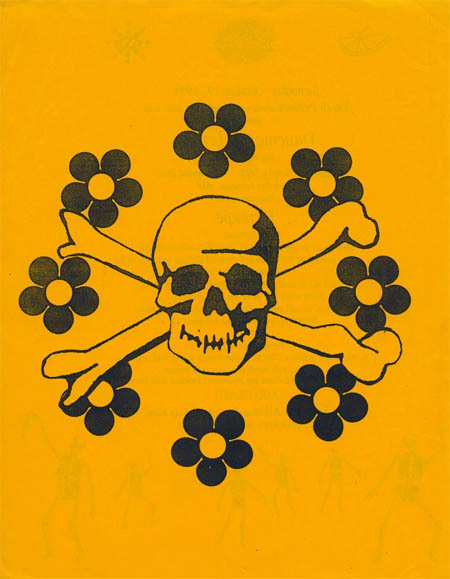 I absolutely love the Barry Gray and His Spacemakers song that this predominately oldschool techno mix opens with. 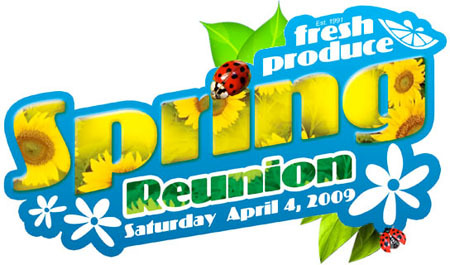 If you’re going to be in the LA area this Saturday, April 4th, I highly recommend checking out the Fresh Produce Spring Reunion. The line up for the night includes Jesse Brooks, Eric Davenport, Barry Weaver, Ron D Core, Fester, Mark Lewis, Oscure, Freddy Be, APX 1, Machete, Clutch, Scooba, CRS?, and MC XYZ. Click the flyer for more details, ticket information and some great mixes. If you know any of the tracks in these mixes, please post them in the comments.